Hello reader! It’s still Sunday somewhere, so let’s a have a look at this Sunday’s swatch! This is Nina Ultra Pro’s Solar Flare; I’m wearing one coat of Solar Flare over a base of China Glaze’s White on White and with a coat of Seche Vite top coat. 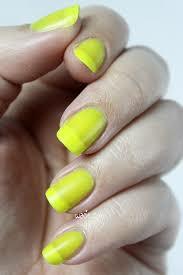 Solar Flare is a highlighter yellow neon polish. It’s one of those translucent neons; even at three coats, it never achieved full opacity, so a white base is imperative with this polish. Because it’s so translucent, one must take care to avoid streaks when applying; because it never becomes opaque, streaks and imperfections are never covered. Product consistency is thin yet manageable. It dried quickly and with a matte finish. 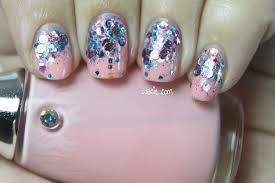 I used top coat for shine and protection. Blogger’s note: Let me preface this by saying that since this is an older bottle, I may have an older formula. Newer bottles may have a newer, improved formula. However, since this is what I have, this is what I’ll review. I’ll just go ahead and say it: this is not my favorite neon. It was just really tricky to work with, and I’m not really happy with the result I got, even when being really careful and meticulous. Even over the white base, I still see streaks, though I didn’t notice them until after I was working through the photos. A second coat over a white base might have done some good. 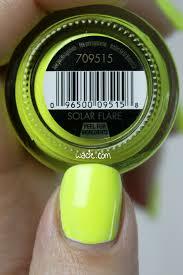 Even though the potential is there for a super neon look — this was way brighter in person, believe me — there are just so many better neons out there, neons that do reach opacity and do not require a white base, this polish is rendered obsolete. For informational purposes, I’ve included photos without the white base. Here’s three coats of Solar Flare alone and without top coat. I’m not really a fan of this look; it really needs the white to pop and to cover the visible nail line. However, I won’t deny the potential for a neon jelly sandwich. 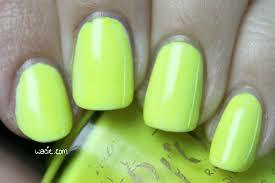 Solar Flare and other Nina Ultra Pro polishes are sold at Sally Beauty Supply. Swatch Saturday: Blue-Eyed Girl Lacquer’s I’m Doctor Martha Jones, Who the Hell Are You? Happy Saturday, reader! This week’s Swatch Saturday finds us beginning a new (new for me at least) Blue-Eyed Girl Lacquer collection called It Got Away From Me, Yeah…, which is all about Doctor Who. What was once planned as a small collection ultimately grew into a huge collection that was released in three phases throughout 2014; one based on the lady companions, one on the male companions, and one based on the Doctors themselves, which was also a collaboration with Monster Polish. (If you remember the Monster Polish swatch I did a couple of weeks ago, that polish is part of this collection as well.) To call it collection might be too light. It’s very aptly named. Anyway, the first polish from this first phase is I’m Doctor Martha Jones, Who the Hell Are You? 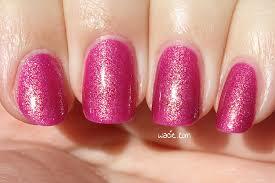 ; I’m wearing three coats with one coat of Seche Vite top coat. I’m Doctor Martha Jones, Who the Hell Are You? 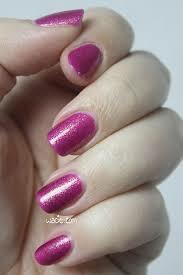 is a magenta jelly polish with flakies that shift from gold to green to blue. Application was very easy; though the polish is loaded with these flakies, they’re very fine and don’t impact the polish consistency at all. The consistency is pretty middle-of-the-road; it has a bit of stuff in it, but it is, after all, a jelly. Because it’s a jelly, the flakies from previous coats shine through the final coat, and because it’s a jelly, a slight bit of visible nail line does come through. The polish dries with a matte finish; I used top coat for shine and protection. 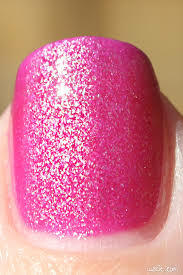 So on this blog, especially when reviewing a polish, I try not to get hyperbolic or silly in my writing; I’m very much a fan of the just-the-facts-ma’am review. I’m going to throw that completely out the window for this review, because HOLY CRAP LOOK AT IT. I have never enjoyed photographing a polish this much, because it just could not take a bad photo. In every position, from every angle, in every lighting condition, it just looks flawlessly gorgeous and gorgeously flawless.And the flakie shift, HOLY CRAP. This is easily the best part. It goes from gold to green pretty easily; the blue is harder to get but is the prettiest. There is nothing I don’t like about this. I hate that I have to take it off so I can swatch other stuff. I did not expect to like this so much. In direct sunlight, it’s a bit brighter and pinker, but is still freakin’ beautiful. I’m Doctor Martha Jones, Who the Hell Are You? 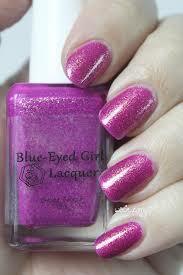 has been discontinued by Blue-Eyed Girl Lacquer. 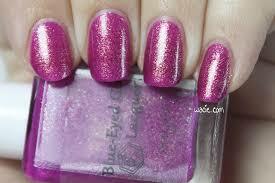 Other BEGL polishes are sold in their online shop. Welcome back, reader! Happy Monday! 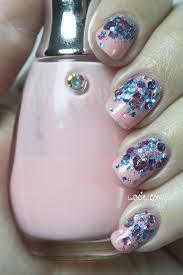 Today’s manicure was done with a chunky springtime glitter and a mystery polish. Spring is springing in Florida, and I get closer with every pastel polish I wear. For this look, I used Model City Polish‘s Breath of Spring and a Sally Hansen mystery pink, as well as a coat of Seche vite top coat. Next to knowing that the mystery polish is from Sally Hansen, I know absolutely nothing about it. This is one of my older polishes, a leftover from when I had a terrible habit of peeling the labels off of things. I really did a number on this one; I’ve stripped it of anything identifiable. 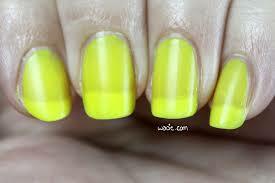 I also remember buying this polish to match a pair of glasses I was wearing at the time. Despite everything, I actually really like this polish, and it’s a shame I can’t tell you anything about it, because I almost want to recommend it. The product consistency is on the thin side, and it took three coats to reach full opacity, and it took ages to dry… Maybe I don’t want to recommend it after all. It had the most gorgeous shine after it dried, though. I feel like that’s not very common. Though it was fiddly to apply, it didn’t need top coat at all, and I was really impressed. It’s kind of a shame I covered so much of it up. Breath of Spring kind of took over this mani. 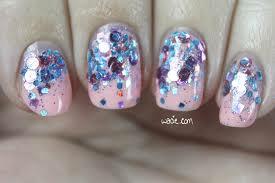 I wanted just a small but concentrated bit of glitter at the base of each nail, but because of the variety of shapes and colors of glitter, it looked uneven, and by the time I got the look I wanted, it took up half the nail. I think it’s still a cool look; the glitter comes in bright but seasonal colors, and there’s just a hint of holographic goodness in the base. It’s a beautiful topper that would look fantastic over anything. I really enjoy this combination. Breath of Spring has been discontinued by Model City; other Model City Polishes can be found in theiretsy shop. 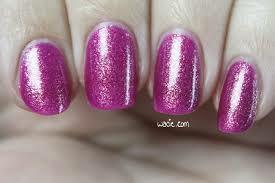 Sally Hansen, and maybe even this polish, can be found in stores nationwide.